Vol 4 | Issue 2 | May – Aug 2018 | page: 22-24 | Yashwant J. Mahale, Vikram V. Kadu. Author: Yashwant J. Mahale , Vikram V. Kadu . 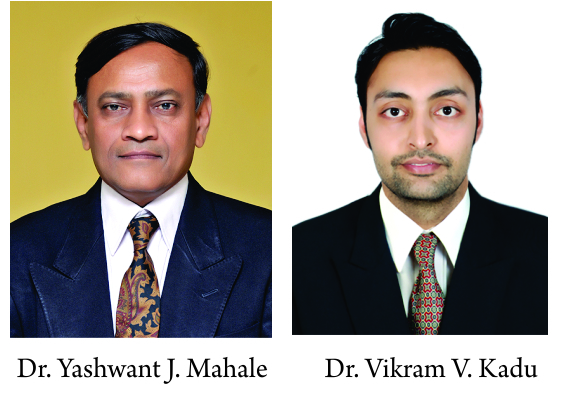 ACPM Medical College , Dhule – 424001 , Maharashtra India. Mahale Accident Hospital , Dhule, Maharashtra India. population. These fractures have a tremendous impact on both the health care system and society in general. These fractures can be managed by conservative methods, but mal-union and complications of prolonged immobilization is the result. Thus, surgery by internal fixation is the ideal choice. DHS was the gold standard treatment for inter trochanteric fractures before intra-medullary devices were developed. These devices have the advantage of shorter lever arm causing less tensile strain on the implant, controlled fracture impaction due to incorporation of sliding hip screw, shorter operative duration and less soft tissue dissection. In view of these considerations, present study is taken up to assess the outcome in terms of adequacy of fixation and results. Methods: This is a retrospective study including 40 patients of unstable inter-trochanteric fracture treated with trochanteric fixation nail. Mean age group of patient was 61.78 years. Results: Functional results were assessed in all 40 cases at follow up. Excellent results were noted in 27 cases, good in 10, fair in 3 and none had poor result. Anatomical results were assessed by presence or absence of shortening and range of movements. Conclusion: The trochanteric fixation nail is a good minimally invasive implant for unstable inter-trochanteric fracture with less blood loss and soft tissue damage. Keywords: Unstable inter-trochanteric fractures, shortening, trochanteric fixation nail. 9. Sarmeinto, A. Clin.Orthop, 53:47-59, 1967. 11. Patil Suresh S, Panghate Atul. J orthopaedics 2008, 5(3) E7. 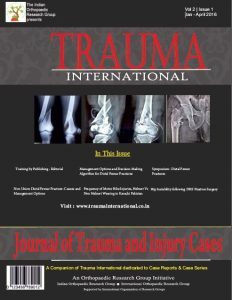 How to Cite this article: Mahale YJ, Kadu V. Functional outcome of Unstable Inter-trochanteric femur fracture patients treated with Trochanteric fixation nail.. Trauma International May-Aug 2018;4(2):22-24.